On the 4th of July – Independence Day and a national holiday in the United States – the cult brand, Speed Queen, celebrates its country as well as its 100-year history. Since its founding in 1908, Speed Queen has developed and produced the world’s best washing machines and dryers. Based in Ripon, Wisconsin, the American brand is proud of its history, its employees and its success. The company was born in Ripon and, to this day, remains there, in the community of which it has been part for more than a century. In a globalized and turbulent economy, where most brands outsource their assembly plants and carry out massive restructurings, Speed Queen remains faithful to Ripon. All Speed Queen machines are produced there, by skilled employees who are proud to belong to Ripon and to work for Speed Queen. At a time when planned obsolescence drives over-consumption and waste, Speed Queen offers ever more energy-efficient machines, designed to last for decades. 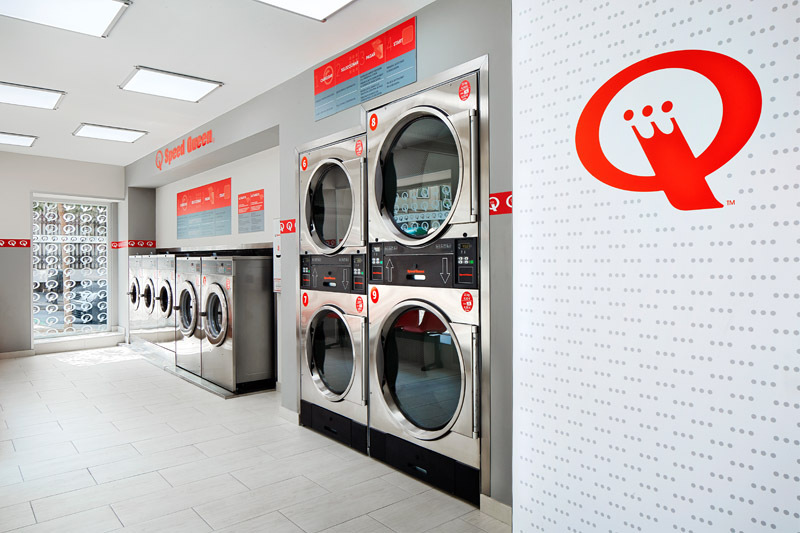 Quality and strength are the two pillars on which the brand has built its reputation amongst domestic users and professional clients, be they laundromat owners, hotel managers or heads of units in hospitals and clinics. The life expectancy of Speed Queen machines is over 25 years. In American homes, this fact is well known. This quality is found at all stages of production: impeccable design, top of the range materials, proven performance, efficient distribution, exceptional after-sales service. To make its machines easily available, Speed Queen works with hundreds of stores across the United States and Canada. Speed Queen offers a turnkey solution to anyone wishing to open their own laundromat. Experts guide you through all the key steps in the process: choice of location and equipment, business plan, works and actual opening. In this way, Speed Queen ensures the success of each new laundry, so consolidating its network all over the world. Today, Speed Queen is the only brand to equip its laundromats with its own machines. Speed Queen’s first showroom in India!